In the main screen, tap Event -> choose Elves Under-Moon Ball -> Complete event stages to get Moonlight Flower. 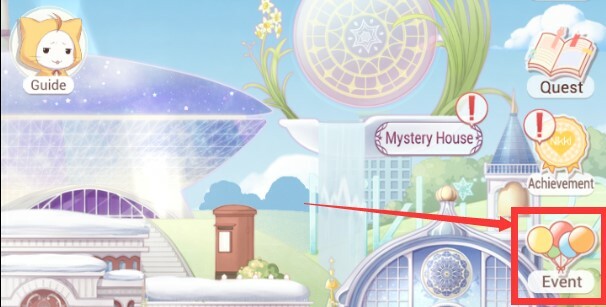 After event ends, Moonlight Flower will disappear. So, STARs must remember to exchange all of it. 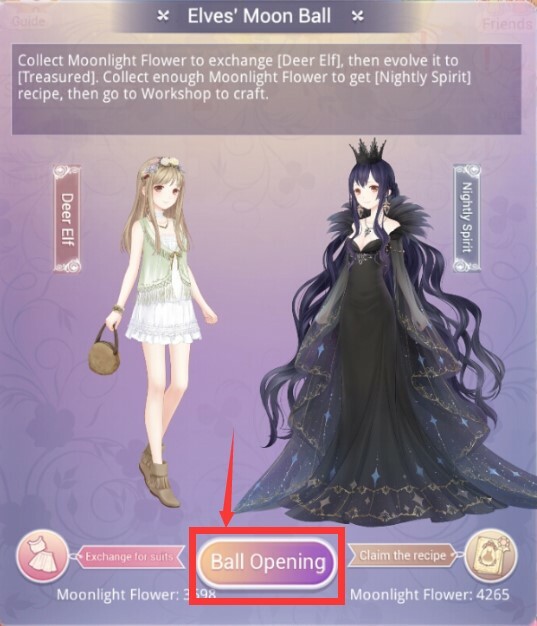 Step 01: in the main screen, tap Event-> choose Elves Under-Moon Ball. Step 03: There are 5 stages in Under-Moon Ball Event. Each stage will have 5 free challenge attempts. STARs can buy more challenge attempts with no limit. The cost is 30 diamond for 5 attempts. Depending on the score will determine the amount of Moonlight Flower STAR can get. 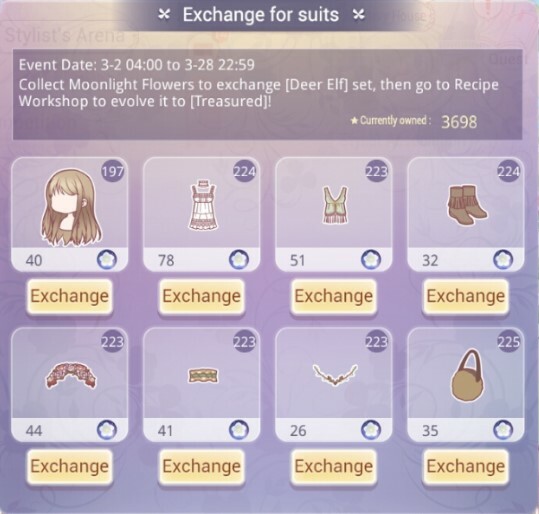 Exchange Moonlight Flower for each parts of Deer Elf suit -> Then go to Recipe Workshop to evolve it to Treasured. 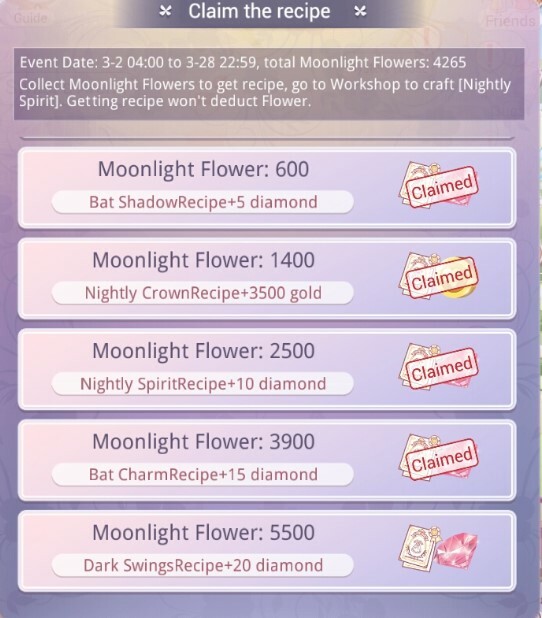 Collect enough Moonlight Flower to get Nightly Spirit’s Recipe-> Then go to Recipe Workshop to craft the suit. 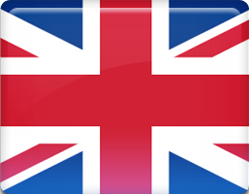 At 5:00 each day, the system will refresh free challenge attempts of each event stage. STARs can buy more attempts with no limit, the cost is 30 diamond for 5 attempts. Getting F rating won’t deduct the challenge attempts. Each attempts will deduct 4 stamina.